Hello Everyone, I hope you had a nice weekend. So I changed up the look of my threaded plaits by making the bun bigger. . I used some braiding hair to achieve this look.. It is so easy to maintain and I love the fact that my hair is not being manipulated at at all. I hope this lasts till saturday. It looks like it's holding up well. I don't think you'll have a problem making it until Sunday. Yes Kay, as a matter of fact it is holding up well. I see now why you love buns... They are elegant and they can be made from simple to sophisticated. Oh that is very cute! This is super cute! I think I'll try it for work. 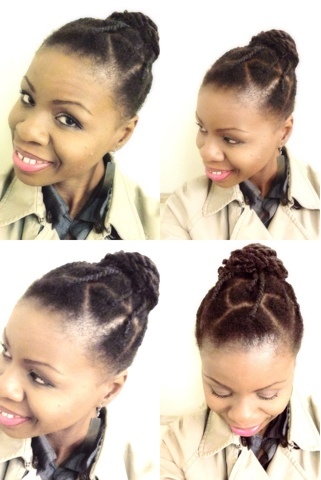 How did you incorporate the braiding hair to make your bun bigger?